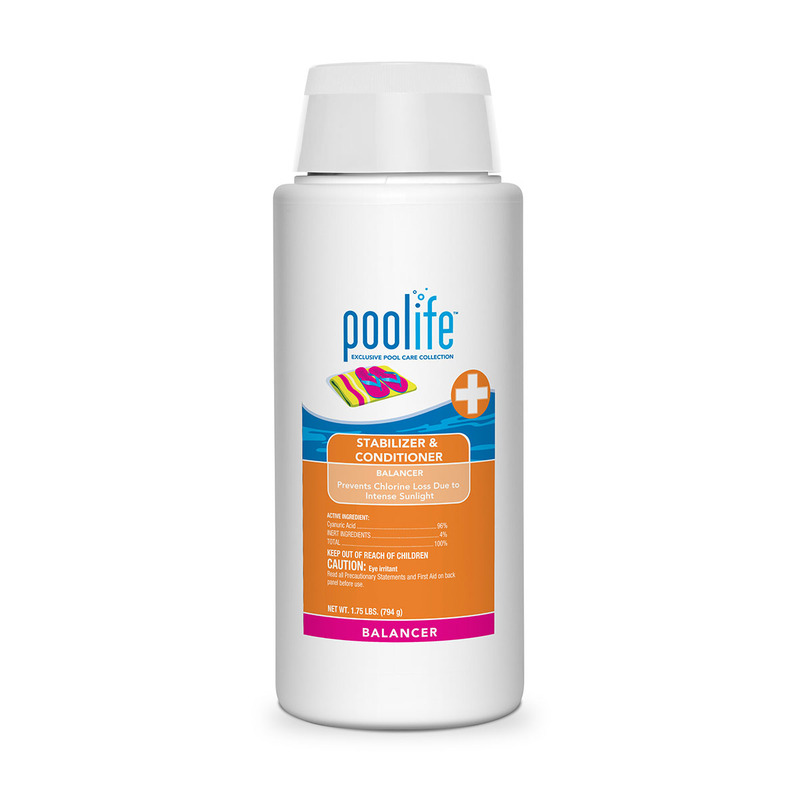 poolife® Stabilizer & Conditioner balancer raises the stabilizer (cyanuric acid) level of swimming pool water. The ideal stabilizer range is 20-50ppm. Proper stabilizer levels stop the loss of chlorine caused by sunlight. Test stabilizer levels monthly and add this product if stabilizer level is below 20ppm. Add product slowly to the skimmer while circulation pump is running. AVAILABLE SIZES: 1.75 lbs. / 4 lbs.